Gabriela Ortega has IT: that unique quality that sends chills down your arms and across your body. In her one-woman-show, LAS GARCIA, Gabriela commands the stage and fills it up with her charisma, her sensuality, her songs, her voices, her intelligence, her poetry, and her contagious passion for storytelling. LAS GARCIA is a beautifully moving story about intergenerational healing, self-discovery, history/her-story, and the journey towards speaking up for justice. You, like I was, will be captivated by Gabriela’s commitment, stage presence, and talent. You, like I was, will learn something about the Dominican Republic and our recent past – and you will be entertained throughout and throughout. Time is suspended during this one act, and when you emerge from the theatre, I hope that you, like I was, will be reminded of why it is you go to the theatre. Gabriela Ortega has IT: that unique quality that sends chills down your arms and across your body. 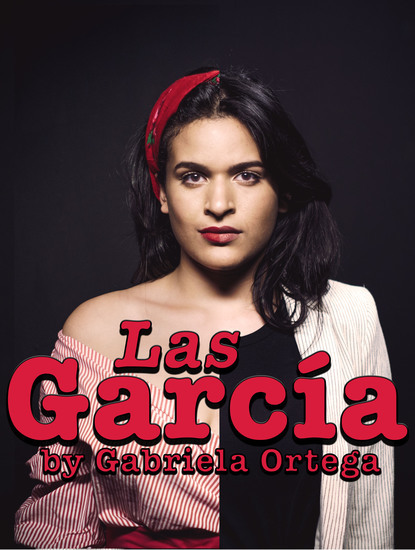 In her one-woman-show, LAS GARCIA, Gabriela commands the stage and fills it up with her charisma, her sensuality, her songs, her voices, her intelligence, her poetry, and her contagious passion for storytelling.